Audition nerves? Check out these tips from Broadway! – Live! Starring ... You! Audition nerves? Check out these tips from Broadway! 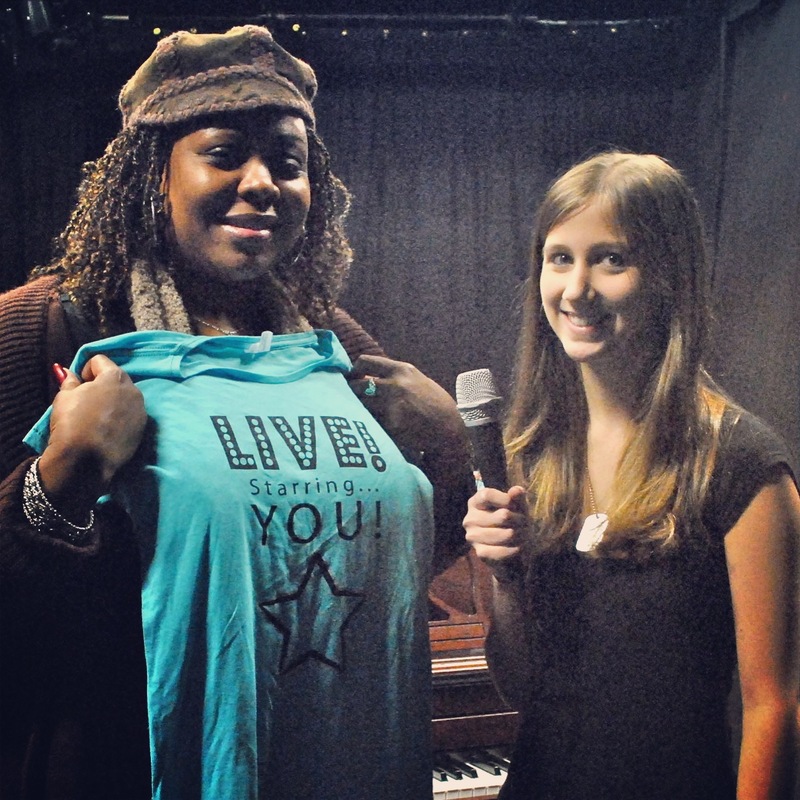 Gwen Stewart, a member of the original Broadway cast of “Rent,” shared audition tips with LSY! teen reporter Larissa Hughes. 1. … would you walk up to and be friendly with the judges, or keep a distance? 2. … would you look over the heads of the judges, or into their eyes? 3. …. would you walk around the whole room, or keep yourself confined to a small space? 4. …. would you tell the accompanist on piano how you want your song played, or assume that he/she is a pro and will get it right? 5. … if you mess up, would you politely ask to start over? Or make up some words and keep on going? 1. Our question: Would you walk up to and be friendly with the judges, or keep a distance? Gwen’s tip: Don’t walk up to the judges’ table, or try to treat them as friends. Be friendly and courteous, but in a professional way – even if you know one or more of the judges. 2. Our question: Would you look over the heads of the judges, or into their eyes? Gwen’s tip: While you’re performing, look over the heads of the people at the table — not into their eyes. You’re performing for them, but that doesn’t mean you have to lock eyes with them. Give them a little bit of space. 3. Our question: Would you walk around the whole room, or keep yourself confined to a small space? Gwen’s tip: Try not to walk around the room too much. You’re performing for the people at the table, not an entire theater. It’s good to move, but keep yourself confined to a small bubble of space that the judges can see easily from their vantage point. 4. Our question: Would you tell the accompanist on piano how you want your song played, or assume that he/she is a pro and will get it right? Gwen’s tip: Go to the accompanist who’s playing your music on the piano and tell him/her what you want. Snap your finger to give a tempo. Don’t assume the player will get it right. Especially if it’s been a long day, your accompanist may be tired from playing dozens of songs. And remember, this is important! If your accompanist doesn’t play the song the way you hope, it’ll be harder to deliver a commanding performance. 5. Our question: If you mess up, would you politely ask to start over? Or make up some words and keep on going? Check back soon for more audition tips from Gwen!